Oh, bless her little soul. So safe and happy. Lovely. 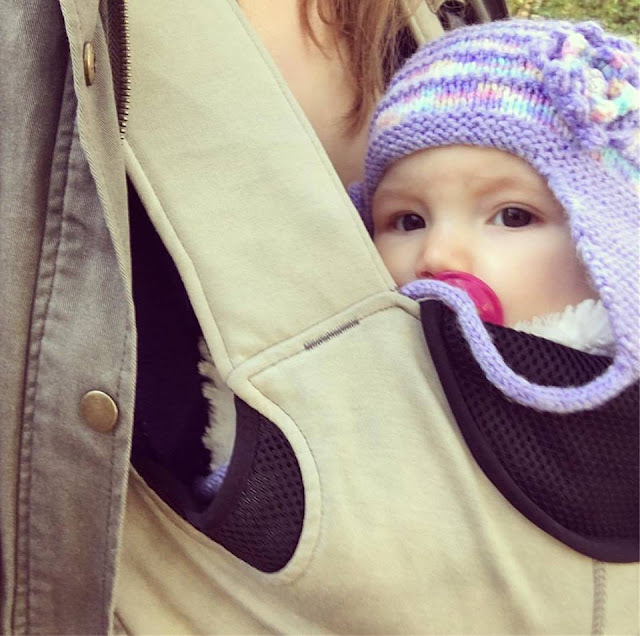 Awww I love baby wearing, so snuggly! Nice hat, Ava looks cosy. Ava, brown eyed:- like her brother Noah. Baby carriers are so practical.